Broke But Love Your Friends? Find A Gift For Everyone From Your Squad At This Cute Store! Who’s in your squad: the fitness-freak, nature lover, bibliophile, or the foodie? All of them? No worries, Ashvita Fine Living Store has something for everyone. Love your friends but also love money? Shop for your besties at Ashvita Fine Living Store on St. Mary’s Road this Friendship day. From coffee mugs to scented candles, this store has great options at affordable prices. 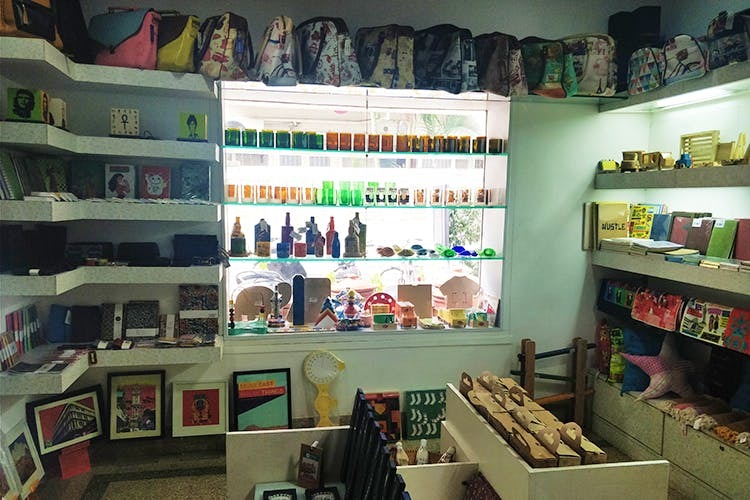 For those who love stationery, this store has a set of bamboo pencils and vintage cloth diaries starting INR 200. Or go with a funky key holder, coasters, or a witty kitchen magnet. For your friend who enjoys cooking, get tiny salt and pepper jars starting INR 250. For that dress up friend, get them a pair of ceramic ear rings, a necklace, or a bracelet starting INR 300! They are eco-friendly and were all saris once! The store also has aloe vera gel and soaps starting INR 450, plus cool t-shirts with pop-culture references. They even have pen holders, lamps, photo frames, and compact bottle caddies in various colours and their vintage birdcage collection is amazing starting at INR 1,400. And for your foodie friends, get them a chip holder for INR 300! They have a 25% discount sale on select products, so hurry!